Our Children’s Room is Open! You are here: Welcome to Cheney Library » Library Events » Our Children’s Room is Open! Story Hour in our freshly-reopened Children’s Room was tons of fun today. 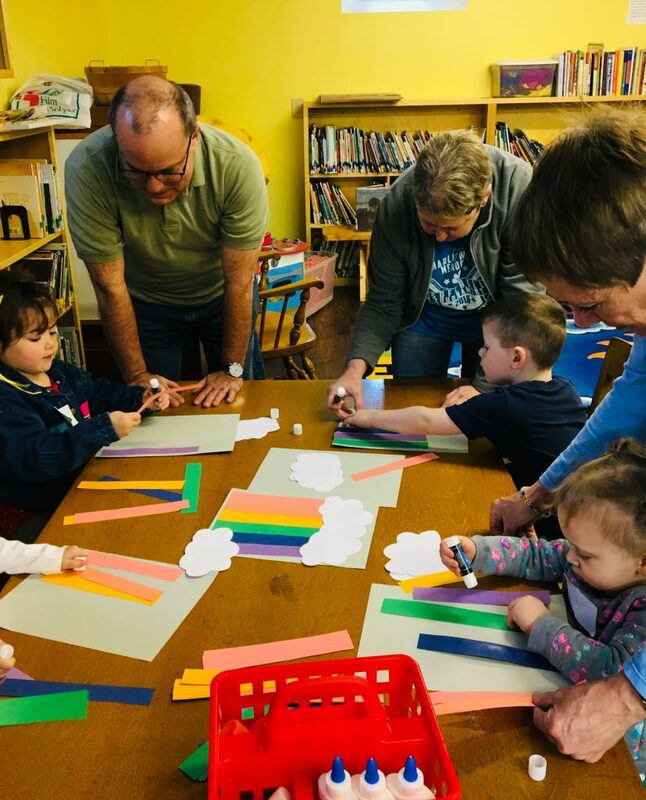 Together, we made rainbows and storm sounds to celebrate April showers bringing May flowers! Below is April’s remaining Story Hour schedule. Please join us!